Un uomo Italiano al mercato. 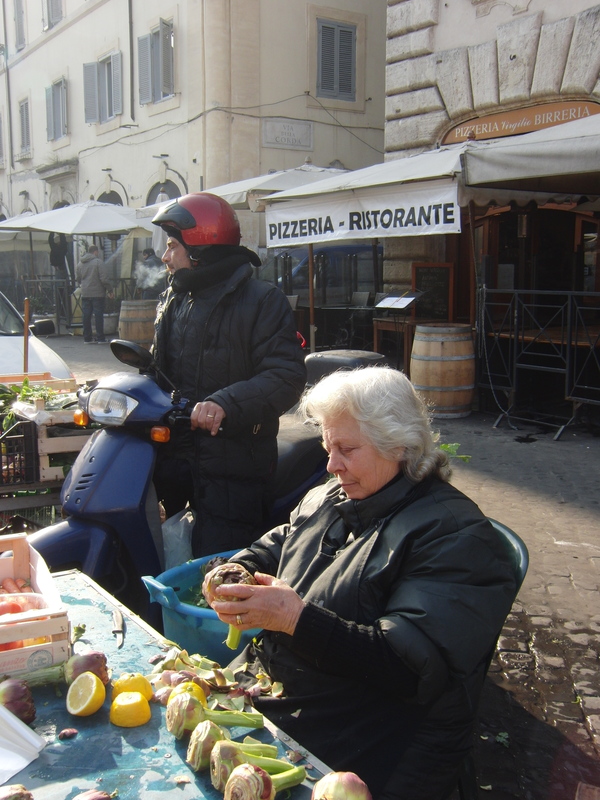 This adorable man spoke not one word of inglese, but he was very pleased to be photographed with his frutta e verdure. 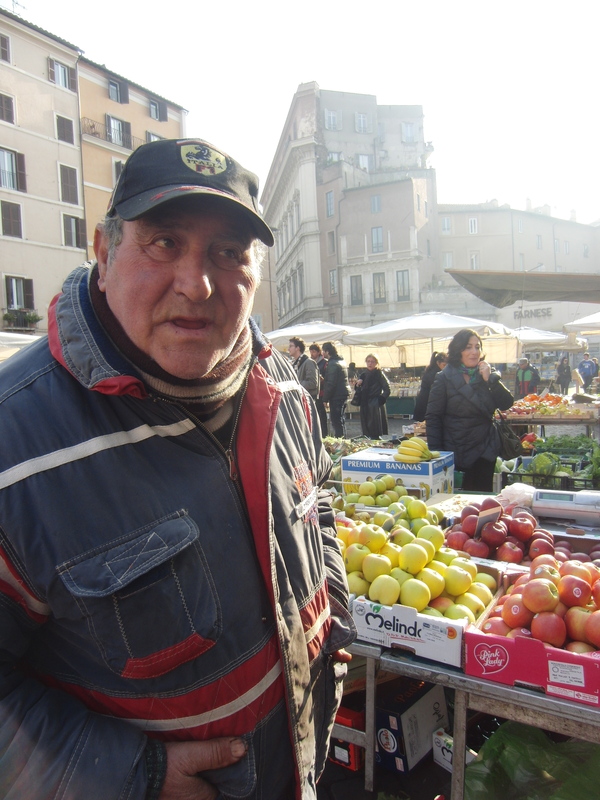 Benvenuti to Roma’s Campo de Fiori, one of the city’s most visited food markets. 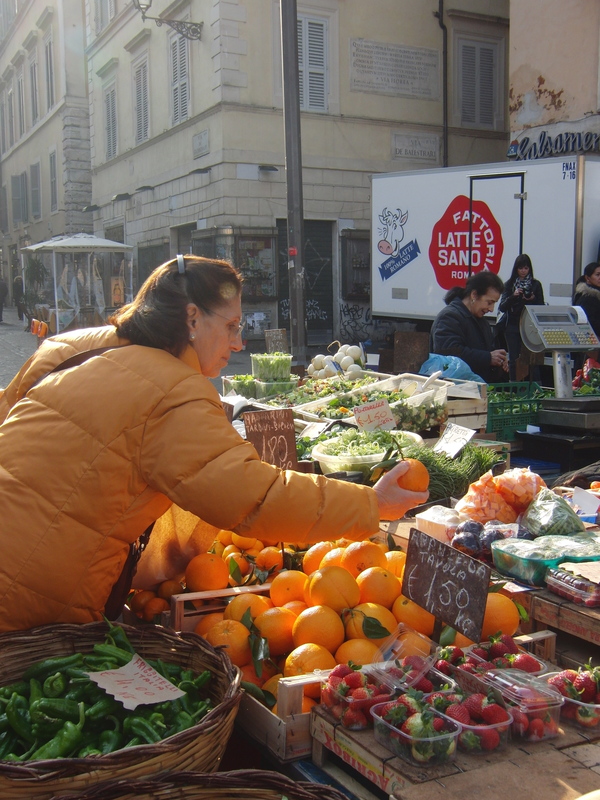 This rectangular shaped market is a huge draw for tourists and locals alike, and it is lined with overpriced restaurants where one can sit outside and people-watch while basking in the Roman sun. 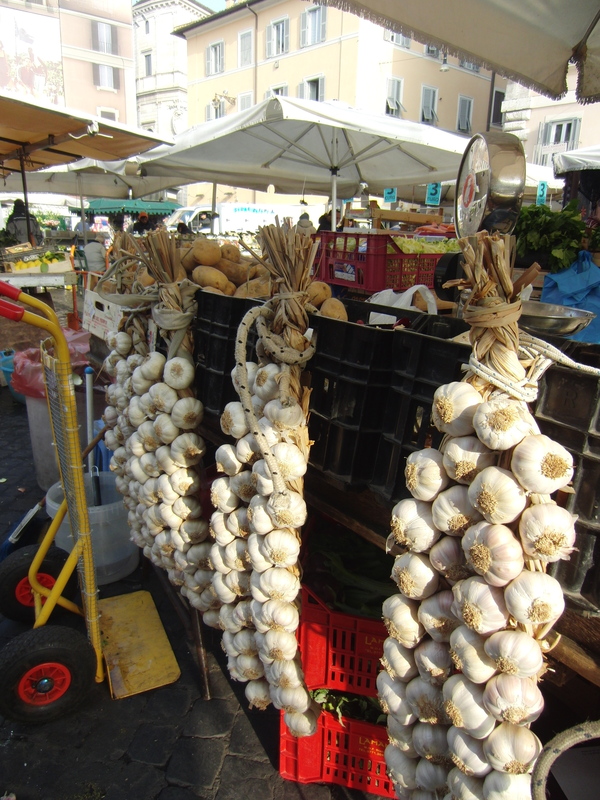 The merchants are feisty, and unlike most markets in the states, they do not want anyone touching their produce. They prefer to pick your apple for you, and they will weigh it and bag it. Pick up a tomato and test its ripeness and you will quickly be reprimanded, followed by a whole lot of gesticulation. As with all markets, the best time to go is in the early morning. By the time lunch is over, this rectangle is a deserted space with a few loitering rotten fruits.